In early May, Australian company Metro Mining Ltd announced the departure of the first shipload of approximately 62,000 tonnes of ore to China from the Bauxite Hills Mine. The Hong Kong flagged bulk cargo vessel Spring Oasis set sail for Shandong, China. The Xinfa Group, one of China’s largest integrated aluminium companies, will take delivery of the bauxite. Xinfa has significant refining and smelting operations in Shandong, Shanxi, Guangxi and Xinjiang Provinces and Metro has a four-year binding off-take agreement to supply Xinfa with one million tonnes in the first year followed by 2mtpa (million tonnes per annum) for each of the next three years. Pricing under the agreement is linked to a well- established alumina price index. Metro started mining at Bauxite Hills in April and experienced some commissioning issues due to a later than normal wet season and hydraulic system operability issues with the truck and haulage fleet. Dry conditions since mid-April have led to much better mining conditions, the hydraulic system issues are being resolved and the production ramp up is progressing well. Some commissioning problems also occurred with the screen and barge loading facilities. These were mostly related to material handling and exacerbated by the wetter than normal bauxite. These issues have now been resolved with minor plant modifications. The project loaded bauxite from site to ship at an average rate over 7,000tpd (tonnes per day), and Metro Mining expects to reach our 2018 target average of 10,000tpd by the end of June. Conditions for the shiploading task were excellent, with gentle breezes from the east contributing to flat water and cool conditions generally. The marine transportation fleet performed well, and in line with expectations. “Once again I wish to congratulate the entire Metro team. 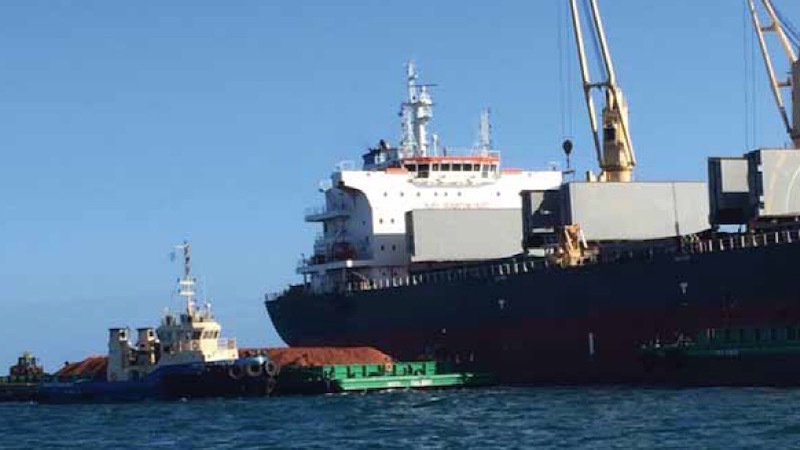 Whilst the first shipment is an extremely exciting event it is also very demanding and has been another job well done,” said Simon Finnis, CEO at Metro Mining Limited. The Bauxite Hills Mine has an estimated ore reserve of 92.2mt (million tonnes) and a total resource of 144.8mt with an estimated 17-year mine life. The mine now becomes a globally significant bauxite mining operation and will feed the growing seaborne bauxite market.